Braids are without a doubt growing in popularity. Not only are they incredibly practical – a great way to keep your hair off your face and help you remain comfortable, but they are also oh so stylish too. There are so many different ways to work braids into your look that once you start experimenting we guarantee you’ll be absolutely hooked. This will be especially true when you see the end results too. Braids are sassy, stylish and simple to do once you get to grips with them – so let’s go! Here’s 20 incredible braided hairstyles to get you started. 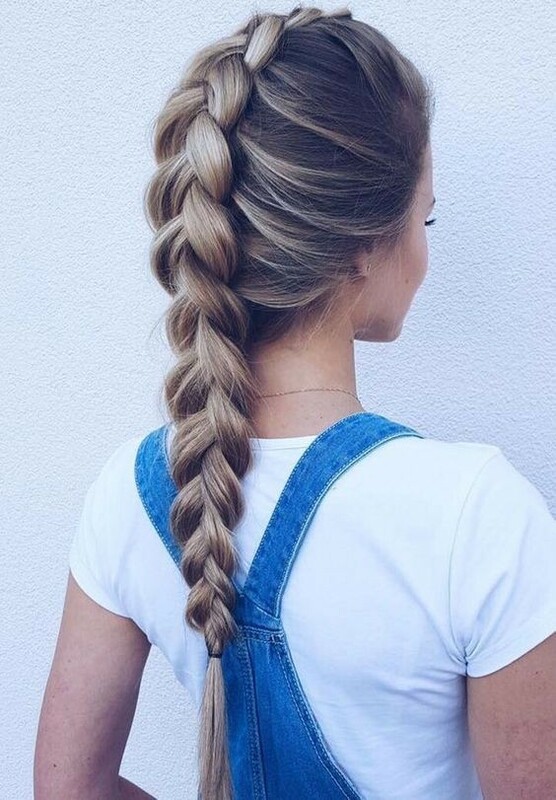 Every woman loves braids; they’re dainty and elegant, and quick to put together. But if you’re bored of mundane three-strand braids, take a look at these gorgeous braided hairstyle ideas for a little inspiration! We’re starting the gallery with a look which is super simple yet incredibly fashionable. 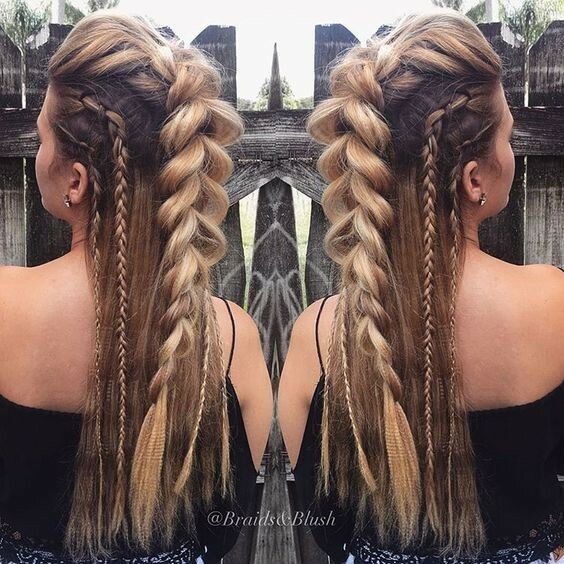 This chunky French braided style sweeps all of your hair into one fashionable braid which falls down the back of your head. Starting from the front of the top of your head, work all of your hair backwards into a thick French braid and fasten. Easy yet effective. Fishtail braids are another type of braid which will transform your hair. Recreate this adorable look with absolute ease! Dye your hair brown and cover with stunning golden blonde highlights. Sweep the top section of hair backwards, and create a fishtail braid with the top section. Pull the sections to create a cool, loose effect. 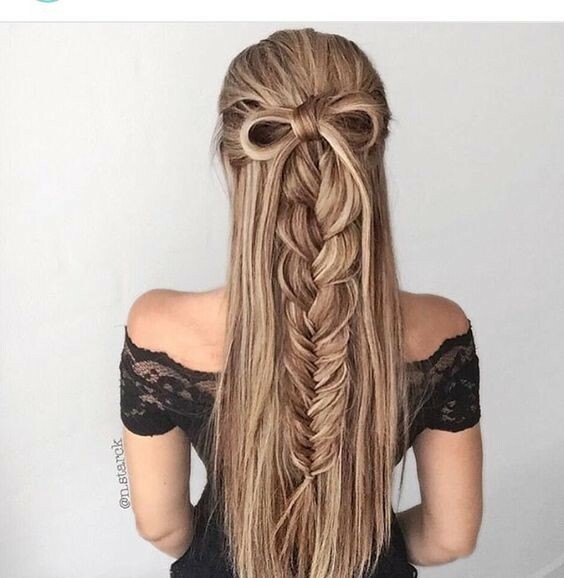 Taking two strands of hair from either side of the braid, create an adorable bow effect and fasten. 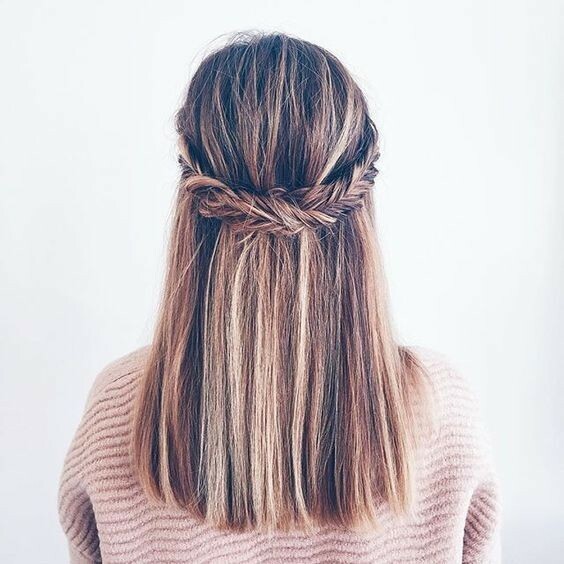 The best way to show off a gorgeous hair colour transition is by working a super snazzy braid throughout the back of your hair. Steal this style for a cool, contemporary and edgy end result. Dye your hair dark brown and add blonde highlights throughout the top. Pull the top and middle section back into a French braid. Pull the braid loosely for effect. Add lots of little, thin braids throughout the rest of the hair. Pigtails are a super cute way of working all your hair into a style which is both practical and stylish at the very same time. Dye your hair a light platinum blonde shade. Keep it long and keep lots of shorter layers around the front of the face. Separate your hair into two sections. Add a French braid from top to bottom on either side for this cut pigtail look. Up dos are simple, casual and oh so cool. They’ll keep all of your hair up off your face and present you with the perfect day to night style at the very same time. Working a braid into your up do will transform your style. At the back of the head, work a braid from the bottom of the hair up towards the centre. Work the ends into a high bun to finish for a fantastic finish. 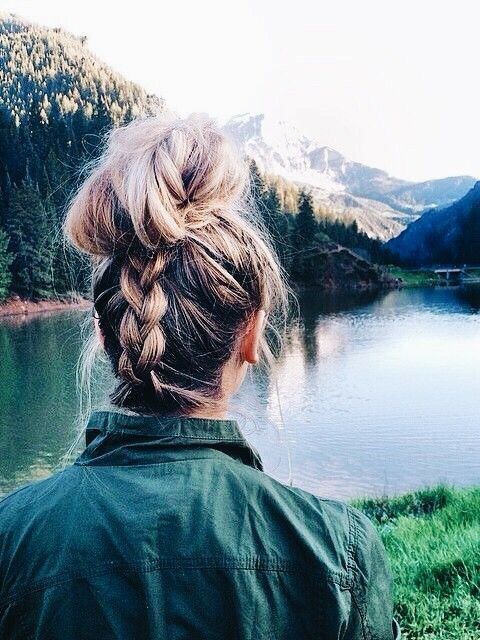 Why stick to one braid when you can have many? This super cool up do is trendy, edgy and seriously stylish. Separate your hair into little sections all around the forehead. Work chunky French braids backwards from the front of the head at each of the sections. Gather them at the back of the head and fasten into a ponytail for a fantastic style. Balayage is a hair colour transition which blends one shade to the other seamlessly. Start with brown hair at the root and utilise balayage to blend this shade towards a striking golden blonde at the ends. Leave strands to loosely fall around the face. With the rest of the hair, loosely drag into a French braid, keeping the sections loose for a romantic style. Braids can offer incredibly versatile hair looks for you – even if you’re only working a small one into your locks! Steal this style by adding lots of beautiful golden and warm caramel tones throughout your hair. Take two sections, one on either side of the head. Work fishtail braids throughout them towards the back of the head. Twist them and pin them to create a fabulous braided halo look.